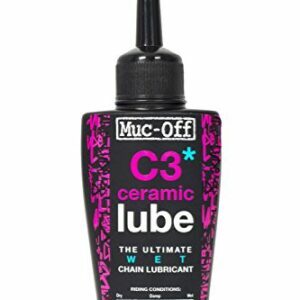 MAKE REPAIRS EASY – If you ride regularly, whether you’re commuting or blazing a trail, then there’s work to do to keep your bike in good running order. The Powerfly wall mount bike repair stand is so easy to use that it makes cleaning a muddy bike or repairing a slow leak simple. CREATE YOUR OWN WORKSHOP – Easy to install, this Powerfly bike repair stand comes with the hardware you need to mount it on a suitable wall. With minimal effort, you can install this fixed-clamp stand and create a bike repair area in your own home or garage. The sturdy steel bars will hold your bike steady while you work. 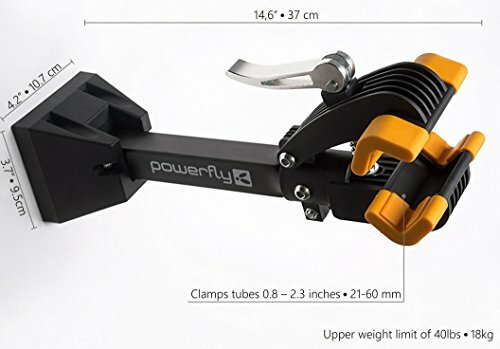 ONE CLAMP FOR ALL YOUR BIKES – The jaw on this Powerfly stand allows clamping of tubes from 1.2-2.9in (30-75mm) which means you can use it to fix almost any bike, from a kid’s balance bike to a pro mountain bike. It’s easily adjustable so you can also use it to clamp parts for repair or maintenance. 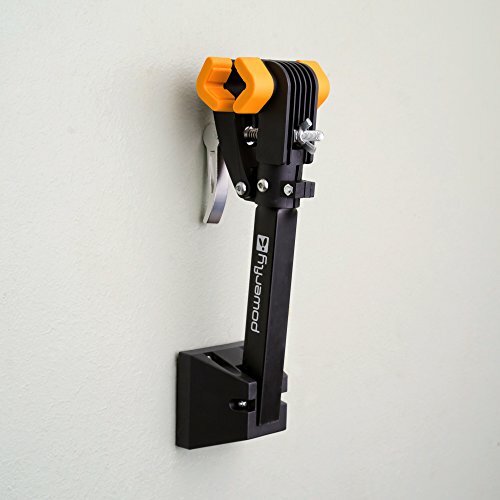 Designed for home bike maintenance and repair, the Powerfly wall mounted bike clamp will hold your bike fixed in place while you work on it. With a fixed-clamp system, it lets you move around the bike without the bike budging an inch. 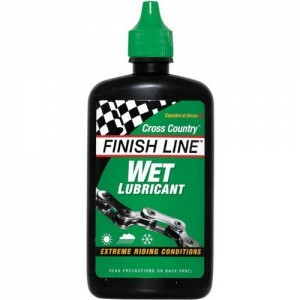 Made from sturdy steel tubing with a padded clamp, it’s a great choice for both family bikes and event bikes. Whether you want to teach your kids to change an inner tube or calibrate your racing bike, this Powerfly repair stand is a solid choice. 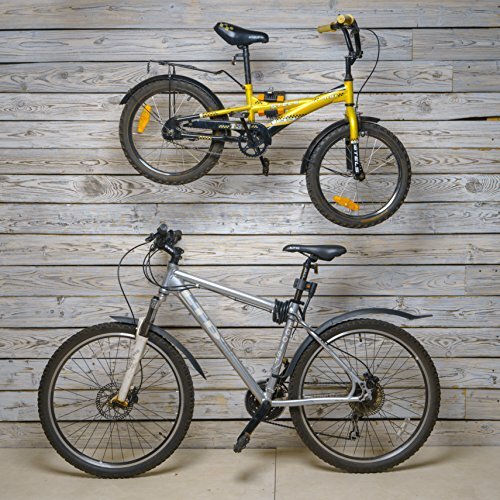 Compact, easy to install and easy to use, the Powerfly wall mount bike stand is a great choice for any bike enthusiast. 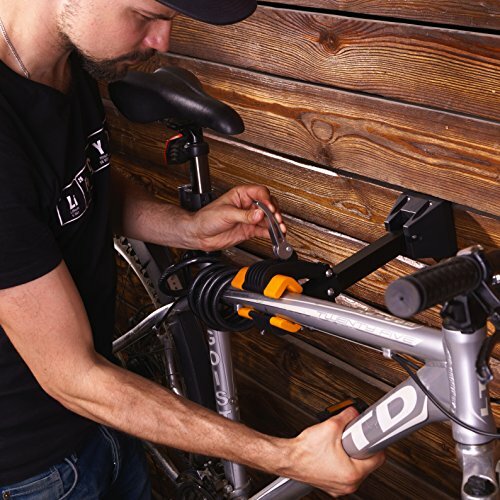 Create your own bike repair space by attaching the stand to any suitable wall and you’ll be able to easily clean, repair, adjust or calibrate your bike. The stand allows clamping of tubes from 1.2-2.9in (30-75mm) and has an upper weight limit of 40lbs (18kg). This versatility lets you repair a kid’s tricycle or a mountain bike with ease. 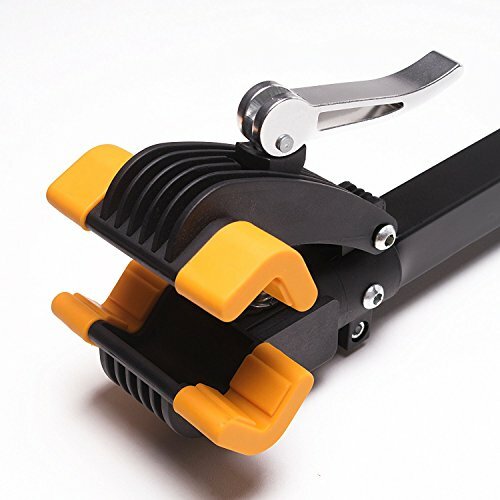 The fixed-clamp bike repair arm extends 14in (35cm) from the wall, giving you easy access to the bike. 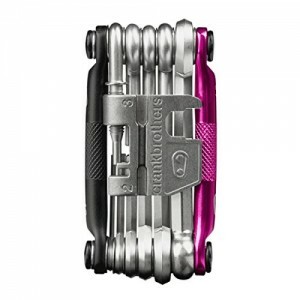 It folds away when not in use, or can be detached. 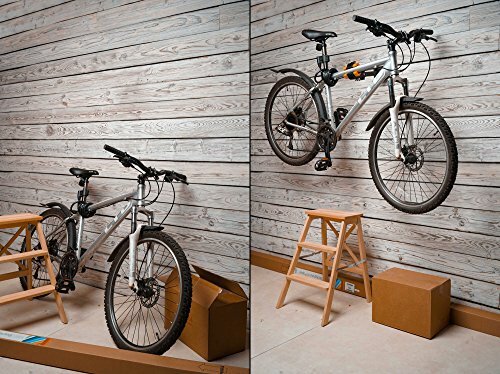 SAVE SPACE – The Powerfly wall mount bike stand is compact and as it’s wall-mounted, it makes use of dead space. It folds away when not in use so you can install it next to a car or bike parking spot. Next time you need to do a repair, move the vehicle, flip the stand down and you’re ready to get to work. NO NEED TO PHONE A FRIEND – Who would give their right arm for an extra pair of hands? 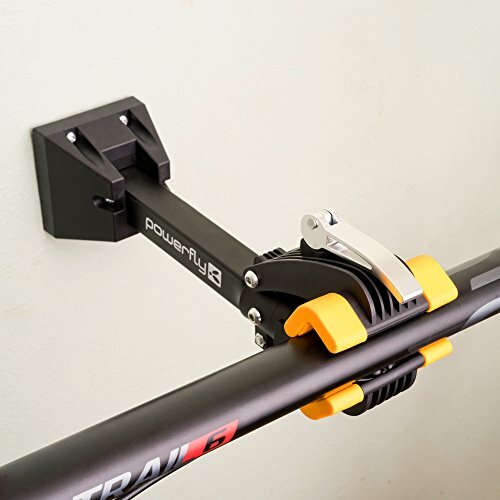 The Powerfly wall mounted bike clamp acts like a strong arm with a firm grip, holding your bike in a fixed position for as long as you need so you can give both hands to cleaning, calibrating and repairing your bike.